Raise your hand if summer is your favorite time of year for fruits and veggies? My hand is totally raised! You too? There’s just nothing like summer produce in my book–peaches, tomatoes, zucchini, cherries, berries, corn, and so much more. It’s all SO GOOD. 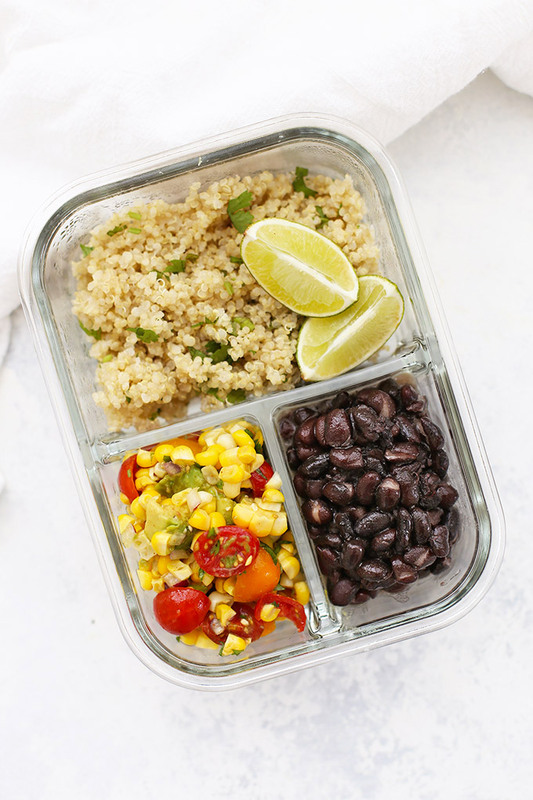 Simply, pack the corn salad in these 2-component or 3-component meal prep containers. You can pair it as a side to your favorite proteins (black beans, chicken, beef, pork, etc. ), or stir it into some quinoa for a main dish. And, of course, this makes a terrific side dish. 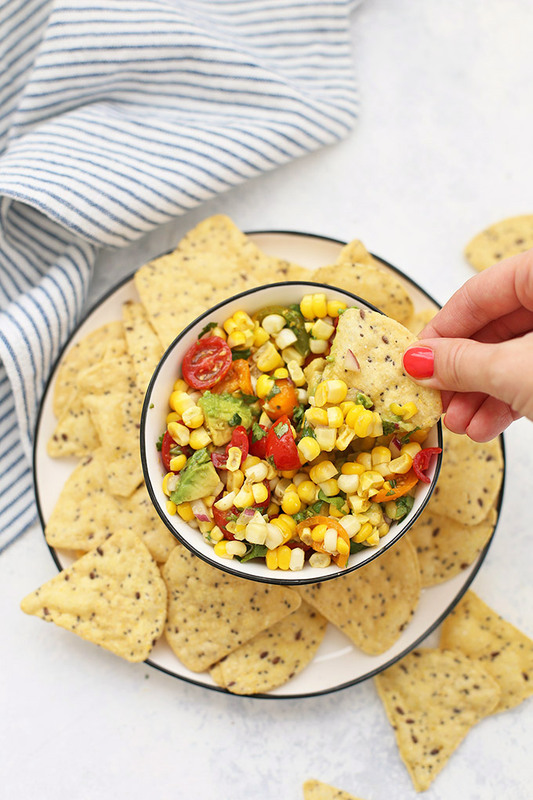 It’s perfect at summer barbecues, picnics, and cook-outs. It’s fresh, it’s light, and it works for many different diets (it’s gluten free, dairy free, nut free, vegan, vegetarian, etc.). 4. Use it as a Dip! 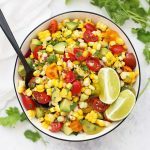 Use this fresh corn salad as corn salsa! It’s terrific with chips (what isn’t!?) and also makes a great topping for grilled chicken or fish. Add a little kick! Try adding a little jalapeño, green chiles, or a tiny sprinkle of chipotle chili powder for some kick. Fill it out. Mix in some black beans or diced bell peppers to fill it out even more. Fire up the grill. 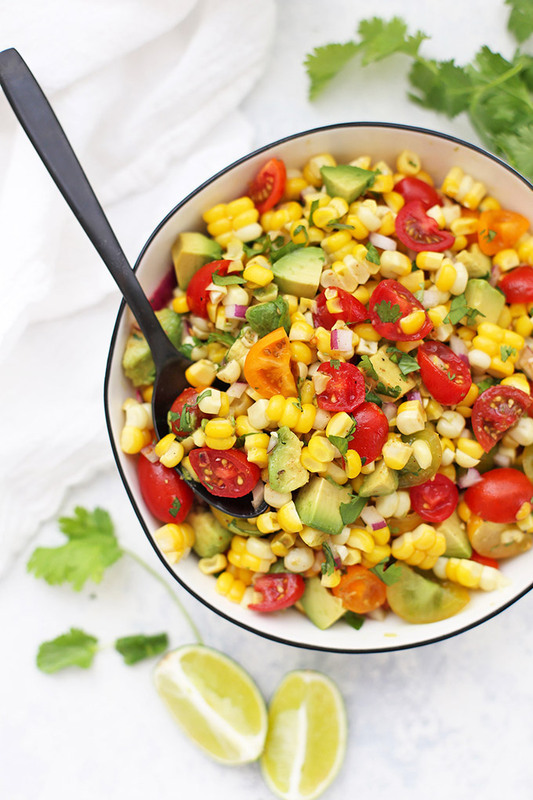 Try grilling your corn–it adds great flavor! Switch out your onions. Try caramelized your onions or swapping in green onions in place of fresh red onion. Take it another direction. Why not swap the cilantro for some fresh basil? It’s delicious! This will easily keep for 3-4 days in the refrigerator. The lime juice helps keep the avocado green, but if you’re nervous, you can absolutely wait to add the avocado just before serving. I store mine in an airtight container in the fridge for best results. 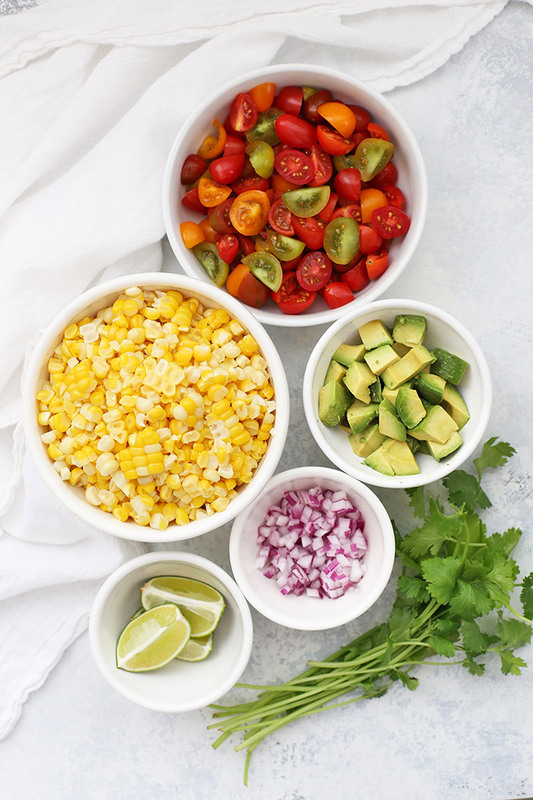 If you have leftover fresh corn salad, you can use them to top burrito bowls, pack in meal prep containers, stir them into quinoa or rice, dip your chips into it, or scoop it over grilled chicken or fish. It’ll be gone before you know it! 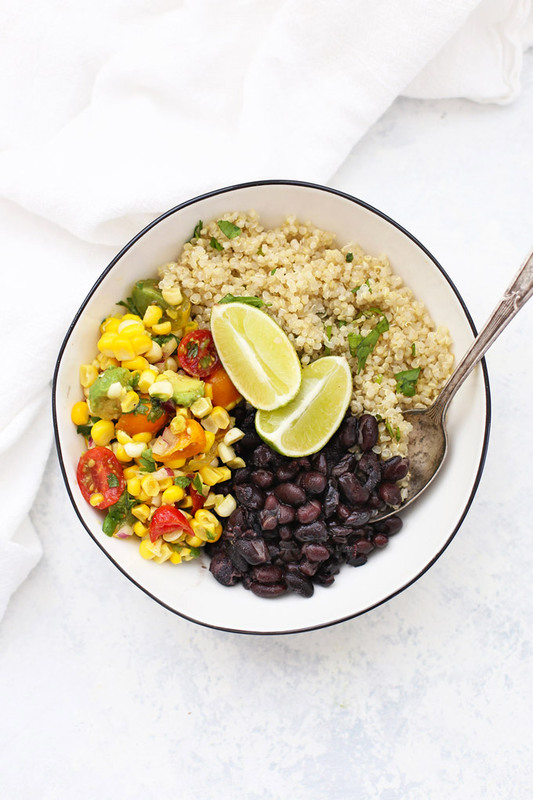 Honey Lime Tilapia – Spoon your corn salad over this like salsa. It’s awesome! 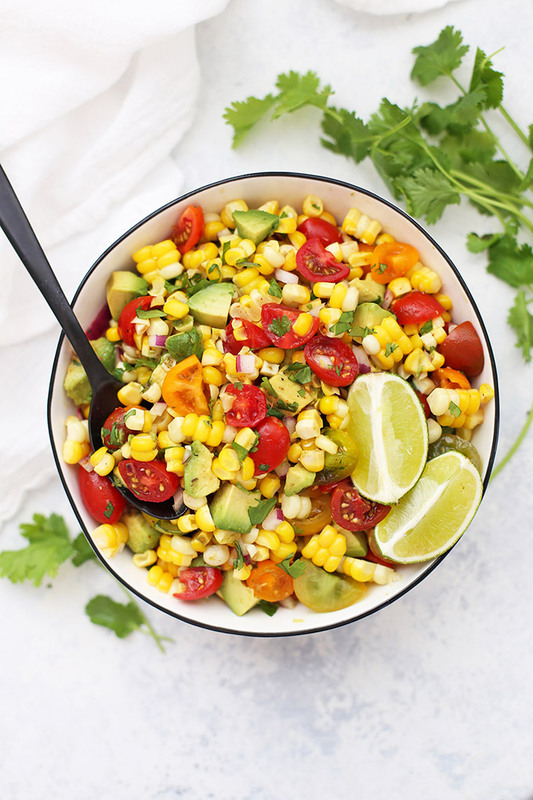 In a medium or large bowl, mix up your dressing by whisking together lime juice, olive oil, salt, pepper, and chili powder. 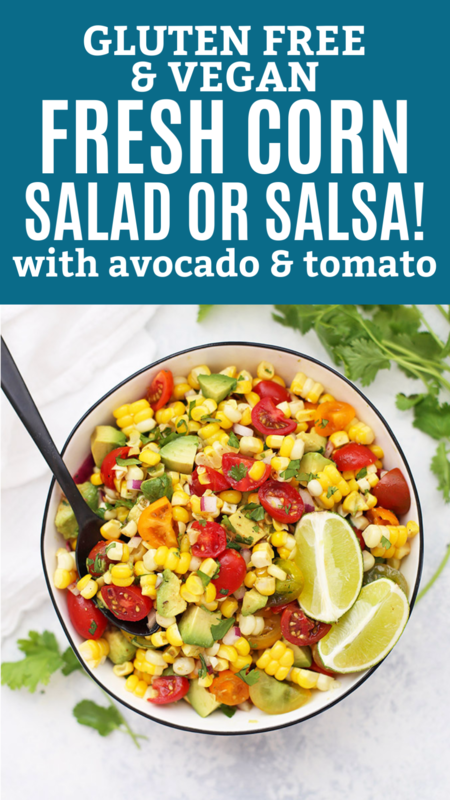 Add corn, tomatoes, onion, avocado, and cilantro. Gently stir to combine and coat well with the dressing. Serve immediately or store in an airtight container in the refrigerator. This will keep about 3-4 days in the refrigerator. VARIATIONS – PLAY WITH IT! « Paleo Almond Butter Banana Muffins – With Video!